In continuation of a program for two years, about the issues and mechanisms related to exhibition, the Spanish artist, Mireia c. Saladrigues invites us to La BF15, for his first exhibition in France, to interact with its space. Our gestures reflect tracing patterns, internalized rules, behavioural habits… as many learned rituals which determine our movements in art spaces. Spaces or ritual structures – to use Carol Duncan’s words – incite visitors, consciously or unconsciously, to interpret a specific representation, a performance. 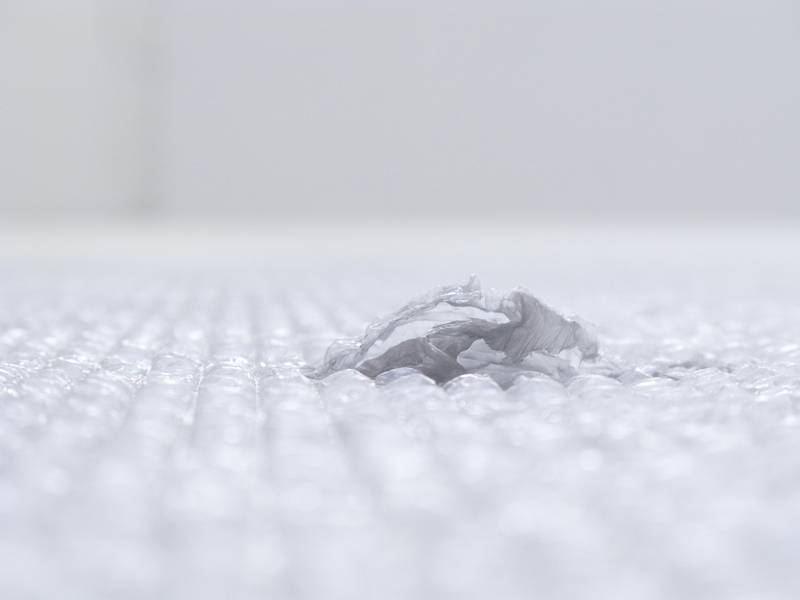 In Horizontal Orientation the plastic bubble wrap, which is typically used when transporting artworks, covers the floor of the main exhibition space. 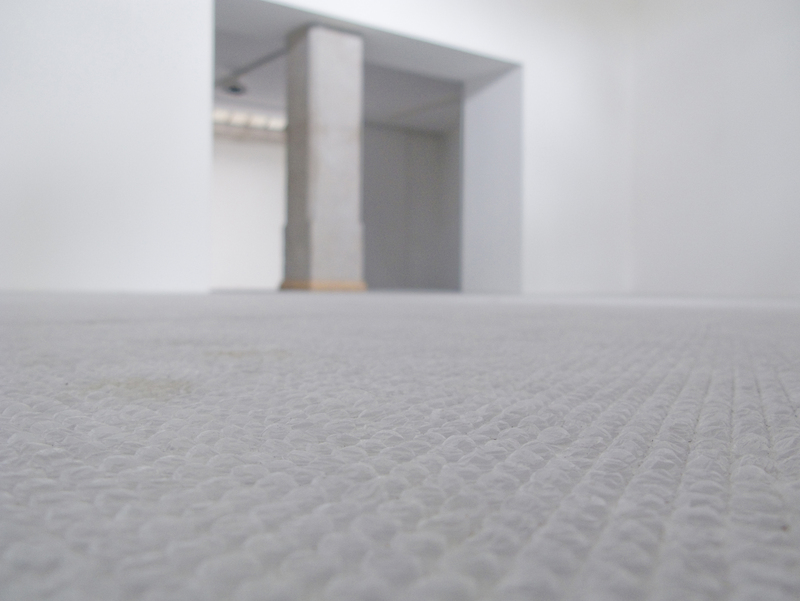 One could imagine that the gallery was undergoing renovation, or that the floor was being protected for being covered with a different material, the same way archaeological artefacts remain buried for a period of time. 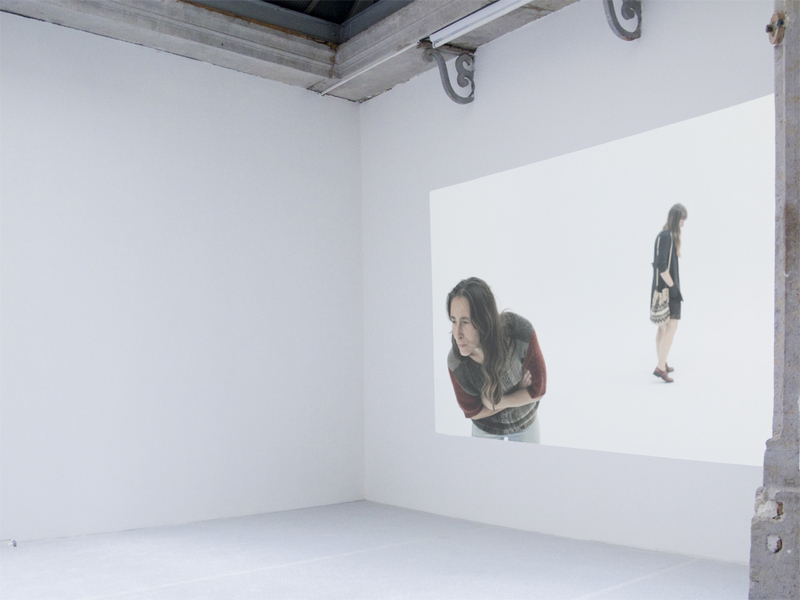 Returning to the subject of walking (this minimal physical gesture needed to visit an exhibition), Mireia c. Saladrigues subtly guides us toward a physical recognition of the place, where our condition as spectators makes us involuntary performers, or sound makers. This turn could potentially be read as a participatory accent or a willingness to incorporate the visitors into the exhibition, but actually puts pressure on conventional relationships between artistic production and consumption, between artistic perception and experience. A new production, the film A Specific Representation, is another invitation to think about the dichotomy between what is biological and what is learned; between the natural and the representation. There some dancers recall the body memory, while recovering and reenacting the same learned gestures and transits, undergoing a physical exercise for highlighting how learned rituals determine our movements in art spaces.